Info- This tiny offshore island in the Mergui Archipelago is one of my favorite dive sites in the world. Lost in time, diving in the Mergui Archipelago feels like being transported back to a time when diving was not a popular commercial sport. I rarely see other boats in this region and the rock remains incredibly pristine, saturated in soft corals and carpeted by anemones. This is Indian Ocean diving at its best with a combination of great invertebrate and macro life and pelagic megafauna. Giant manta rays often aggregate around this isolated shallow water beacon offering some of the most spectacular encounters around. 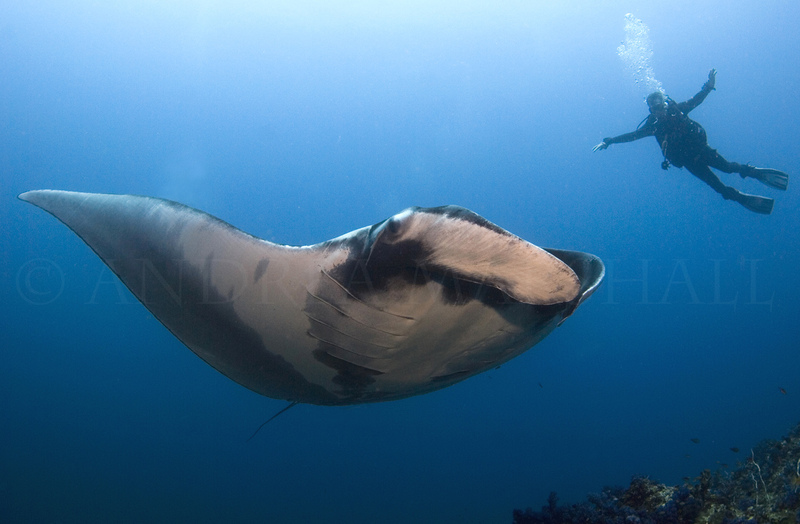 With warm, clear, blue water and lots of light I have taken some of my best manta photos at this site! I’d love to organise a Manta Expedition on our brand new dive boat: MV Smiling Seahorse. It was just launched in November 2018 and now exploring Myanmar from November till May. Let’s organise something.